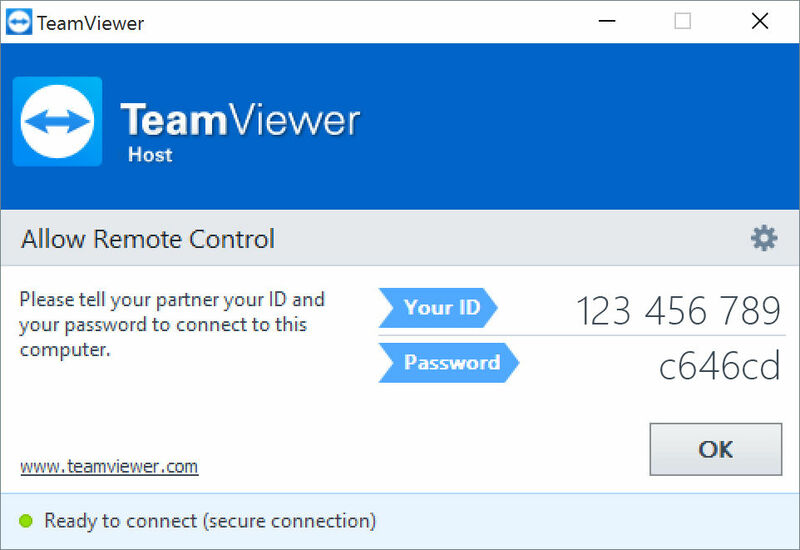 TeamViewer is a remote desktop tool with the world’s largest and fastest remote connection network. This is the only tool you will ever need to keep all your computers, servers, and devices at your fingertips. The only enterprise remote support tool you need for industrial-grade remote control, desktop sharing, online meetings, network monitoring, malware protection, and secure file transfer between computers. How much does TeamViewer cost ? The pricing for TeamViewer starts at $14.64 per month. TeamViewer has 3 different plans such as - Single User at $14.64 per month, Multi User at $39.73 per month and Teams at $60.63 per month. Disclaimer: The pricing details were last updated on 11/12/2018 from the vendor website and may be different from actual. Please confirm with the vendor website before purchasing. Helped me to deal with those issues which I would have never been able to solve alone. Pros: Its quick and secure connection with the host, easy interface and clear voice and picture quality. Cons: The file transfer rate is little bit fluctuating and seems to have some kind of server instability, to be honest I am having trouble finding out the flaws. TeamViewer is an excellent software. Overall: Imagine you are having a bad time with your personal PC or notebook and you don't know what to do, your IT friend is sitting in another city who could solve your problem. There comes the teamviewer, if you need to install something complicated or your system is faulty, you can have it checked sitting in your room. Pros: The software is great for remotely assisting our users, which saves us both time and money. You can also send a download link via email to temporarily have access to a user's PC. 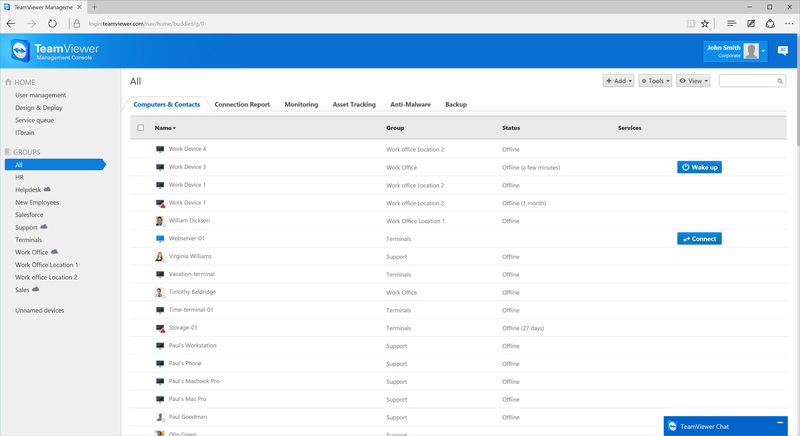 TeamViewer keeps track of all PC that are associated to your organization and makes it easy to build a "Contact List" of PC you can remotely access. Very useful software! Cons: No real cons other than both PC need to have TeamViewer installed. Which is pretty understandable and makes sense. Overall: Overall experience with TeamViewer has been excellent. Easy and fast to install. 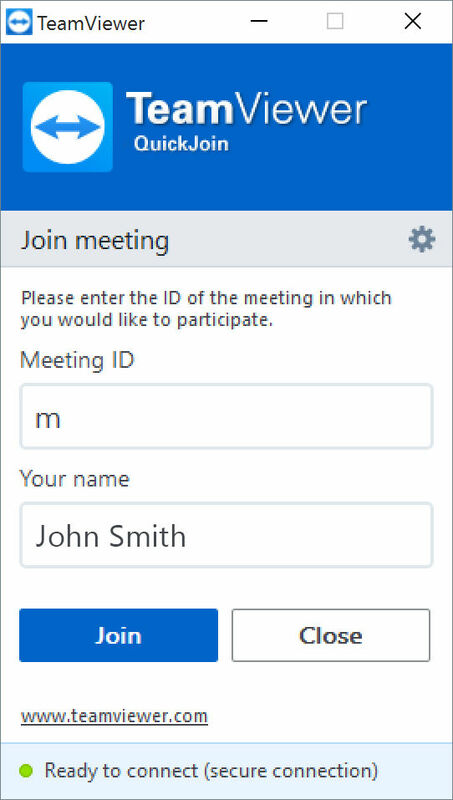 Software automatically starts with Windows so all the end user needs to do is give you their ID and you have access. End users like that they can see what we are doing as we are doing it. 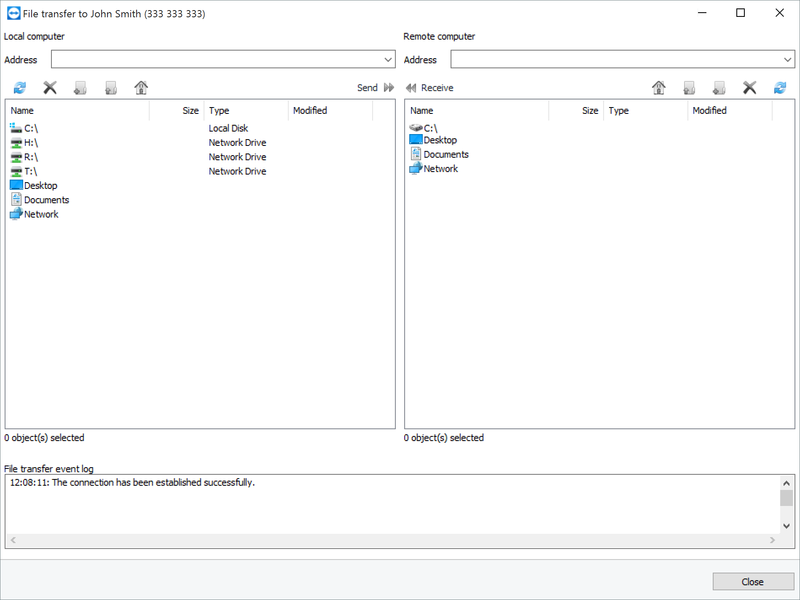 Our previous method of using Remote Desktop Connection to assist end users just does not compare. Great product! 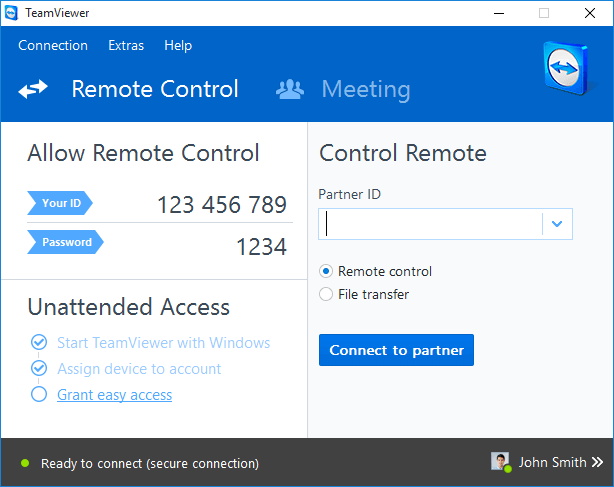 TeamViewer can set up in a server, so it can be remotely controlled later from around the world, given the immediate association between devices. 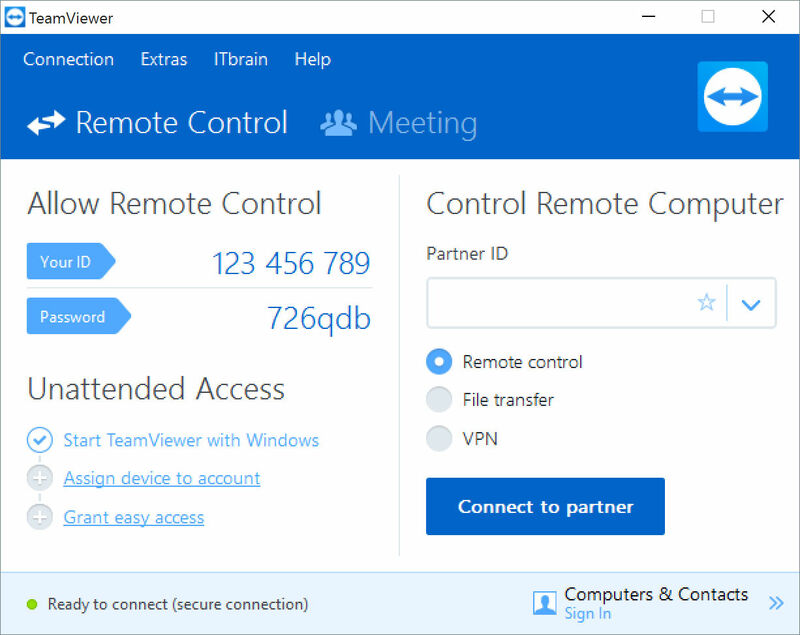 Also, I have used other remote-control alternatives and, in comparison, TeamViewer has a greater interface and quick connectivity. Another thing is that the cost of the license is low given all the benefits it provides. There are some cases when you can't have access to TeamViewer because when the main PC your try to connect goes to sleep mode, you're not able to get into it. On these cases, you may have to ask for someone's help to launch your PC so you can access to it. Also, although TeamViewer allows you to have access to a PC information, it doesn't give a way to straightforwardly explore some parameters for the self-information for the PC, like RAM, CPU, Version, etc. 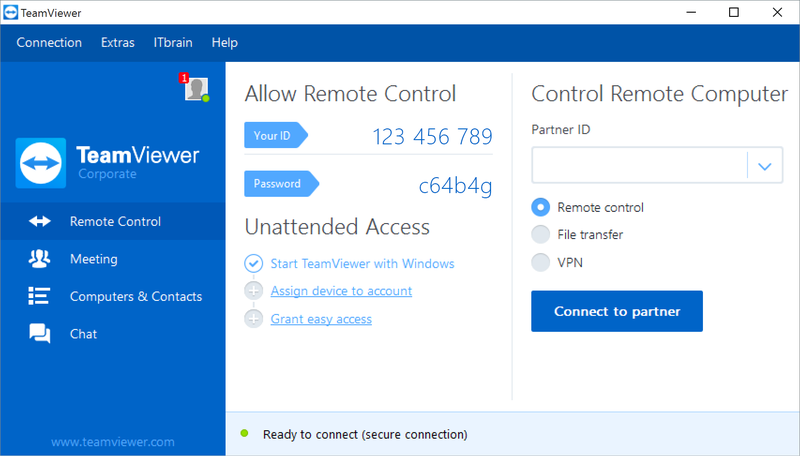 TeamViewer is a straightforward and secure approach to start remote access to another computer for technical and, in case or a specific software, instructional support. I recommend to use it while making a phone call or setting another type of communication with the host's PC. 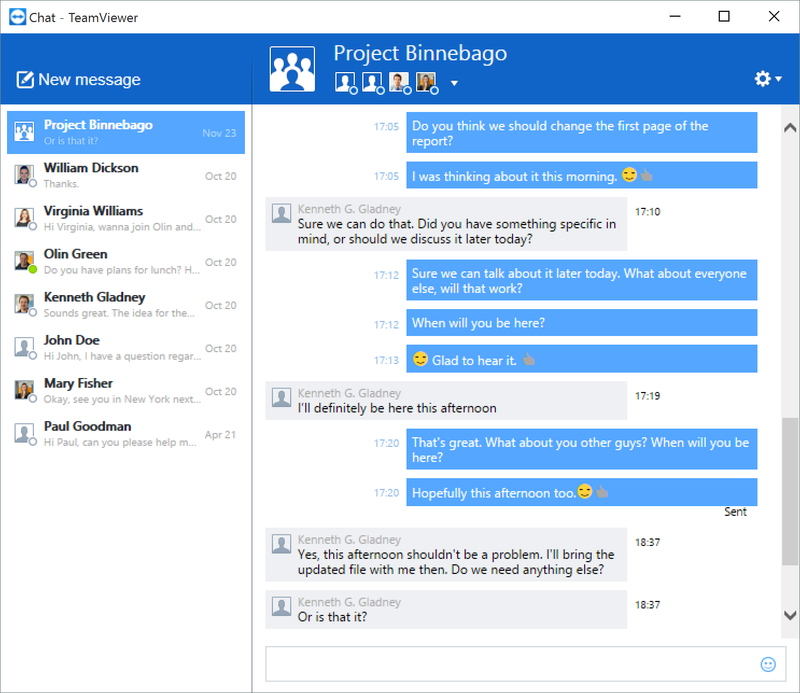 TeamViewer is a software widely used across our organization to allow the connectivity among various computers of our office or our collaborators on other regions of the country. In the IT department, we provide remote technical support for the rest of our company, by troubleshooting desktop and managing issues with software and cloud. Being a newspaper, some of our workers are not technically-savvy, so the IT support are always able to connect to their machines in order to solve their issues. Pros: If you want to connect always with the same code, you can do. Cons: The orders doesnt work rapidly, so everything must be done slowly. Overall: I am using when i need to do something complicated to explain on the computer of another worker. Pros: The smoothness. If you have a steady internet connection, this works like a charm. Cons: Sometimes lags. Other than that, it's a pretty straight forward software. Overall: I learned AutoCAD from one of my friends. We figured, TeamViewer was the best way for me to remotely learn from him. Also, when I travel abroad, I leave my work computer on with TeamViewer running. This way I can access my work computer 24/7. "Very well made remote desktop software with a great feature set." 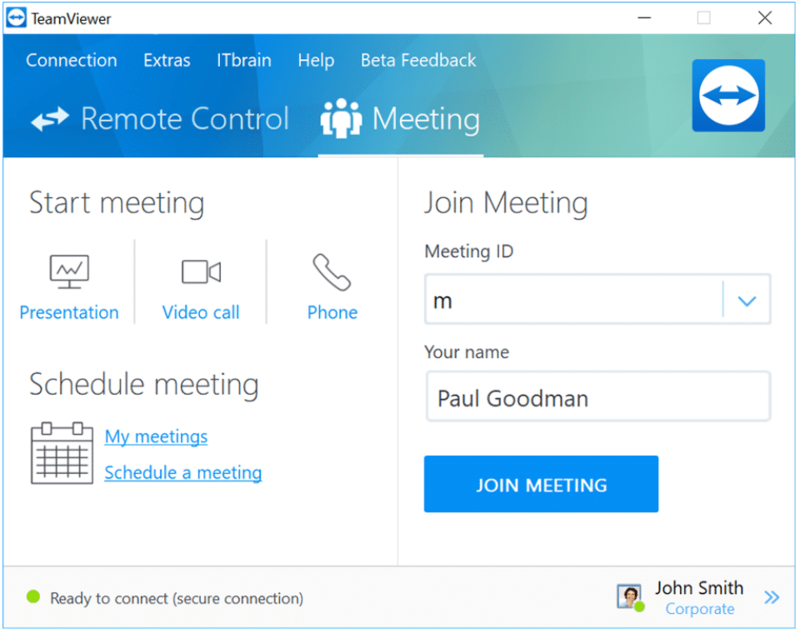 Teamviewer makes settings up remote sessions with other devices painless and simple. The performance of the remote view session is very good with low latency. 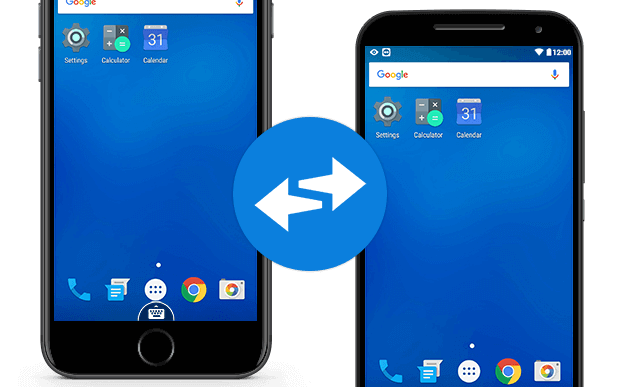 One of the best features of Teamviewer is how easy it is to transfer files between the remote and host desktop. It is a matter of just dragging and dropping. Another nice feature to have is the ability to record your sessions. Unfortunately, Teamviewer license can be a bit pricey especially if you need to purchase multiple licenses. Also, there are several versions of Teamviewer out there that are not compatible with each other. There are other products out there like UltraViewer which is a free alternative. This can be a great tool for collaboration and support. Pros: The simplicity, power and speed of the connection, both in the private and in the business sector. The ability to quickly copy files from one computer to another. Various instant messaging functions while operating on the remote computer. Iconized commands that allow easy management of the operational functions of the remote computer, such as its automatic restart. Cons: There's almost nothing I didn't like. Improved the ability to pause the connection and update and alignment of different versions of TeamViewer between the local and remote computers. A different management of user access and password to be transmitted also via mobile phone. Overall: I am very satisfied, the product is excellent and very useful: it avoids long transport times and costs, it offers unthinkable possibilities of assistance. Really superb! Pros: The main best part is that i can share desktop with fellows but only if I tell them the one time pass code that appears when it launches which is quite secure. Cons: It is difficult to share larger files. If one of the two PC hibernates, its user has to physically enter a new password so not so well for the server side working when work on PCs remotely. Overall: Overall, it is fast and it is easier to watch n edit remote screen. Pros: Extremely easy to allow access to an IT tech to perform whatever needed on your PC remotely. Cons: Sometimes random disconnections occur but its minor. "Remote access and quality assistance"
Using Teamviewer is the easiest way to help clients and co-workers to perform specific functions and tasks and not waste so much time. I like how easy to use it, because with just the ID of the computer we can connect easily and quickly. Perhaps a disadvantage that I can highlight from the use of this program is that it is necessary to have an internet connection fast enough to be able to use it correctly. 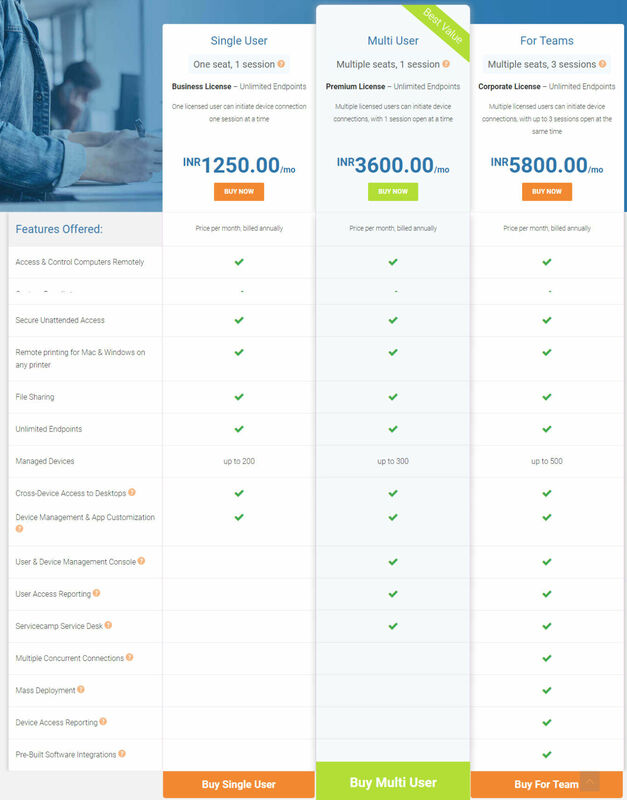 For people or companies that require a better way to provide support through remote connection, this program is a very good option. 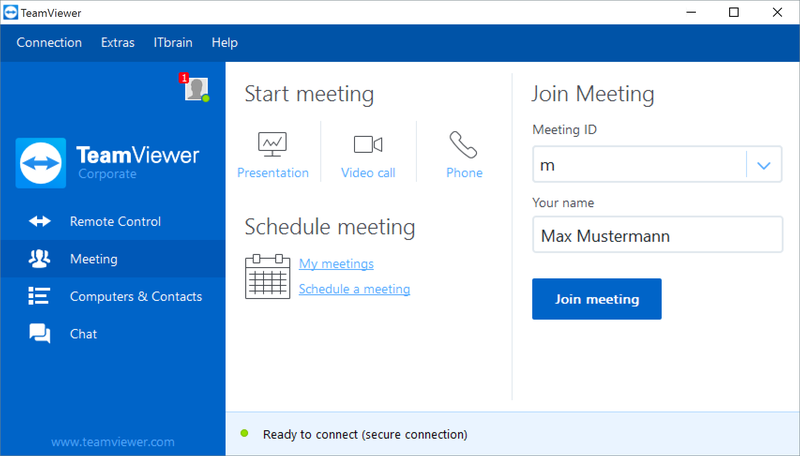 Teamviewer helped us to be able to connect remotely with other clients and co-workers to be able to provide remote support and in this way help in the tasks that they require.